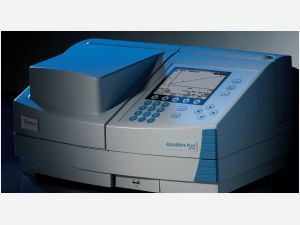 Thermo Scientific* Aquamate Plus delivers dependable, complete water analysis for Vis and UV-Vis. With increased industry regulations of environmental monitoring, the Aquamate Plus spectrophotometer provides the flexibility needed for changing requirements. The compact design, incorporating minimal optical components, provides excellent light throughput for the price.